Located near the intersection of Stage Rd. 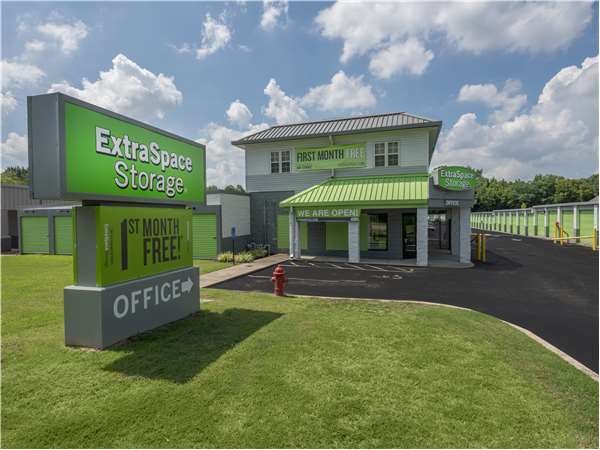 and Summer Ave., Extra Space Storage serves Memphis residents near Bartlett. Locals will recognize our facility next to Sonic Drive-In, Goodwill, and Sherwin-Williams Paint Store. We're also accessible for residents of nearby apartments, such as Countryside North Apartments, Birches At Countryside, Reese Road Apartments, and more! I've been to 2 of their facilities and they have wonderful staff. That's really a plus... I have a little issue with no light inside my unit and I'm waiting for this concern to be resolved. I feel secure when I go over there. It's always clean - there is never any trash on the grounds or around the buildings. Inside is always clean as well. I was greeted at the door when I went over to rent/sign papers with happy smiling faces from the staff on Stage they are so friendly - they're the kind of people I'd hangout with! It's close to my home so if I need to make a mad dash over to put something in my unit it's very convenient for me. My nephew had rented a unit from this location years ago and I remembered it so that's where I took my business as well. If feel good knowing my possessions are in a safe and secure place THANK YOU!!! Drive south on Kirby Whitten Rd. Pass New Hope Christian Church and continue south on Kirby Whitten Rd. Turn left onto Stage Rd. Our facility is on your right, immediately beyond Goodwill. Drive northeast on Summer Ave. As you pass Goodwill, turn right onto Stage Rd. Our facility is on your right. Drive west on Stage Rd. Pass CarMax and continue straight on Stage Rd. Before reaching Summer Ave, use the left turn lane and make a U-Turn to head east on Stage Rd. Our facility is immediately on your right. Drive east on Stage Rd. Pass Kirby Whitten Rd and continue east on Stage Rd. Our facility is on your right, beyond Summer Ave.